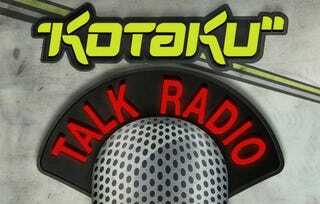 Don't forget to join us later today for our weekly live episode of Kotaku Talk Radio. Stephen Totilo and I will be on hand live, well mostly live, to discuss the start of the big roll-out of big titles this fall, how Tokyo Game Show went, the art of cosplay and the PSPgo. We'll also be taking live calls from you, our readers. Don't forget to call in using your phone or Skype to (347) 857-3782, starting at 1 p.m. Eastern.